In a wondrous world of riddles and hidden treasure, bumbling Jack Hare is on a race against time to deliver a message of love from the Moon to the Sun. Far, far away in a world just like ours, a mother cheers her son Joe with the tale of Jack Hare’s adventure. But when Jack’s mission goes topsy-turvy, Joe and his mum must come to the rescue, and the line between the two worlds becomes blurred forever. 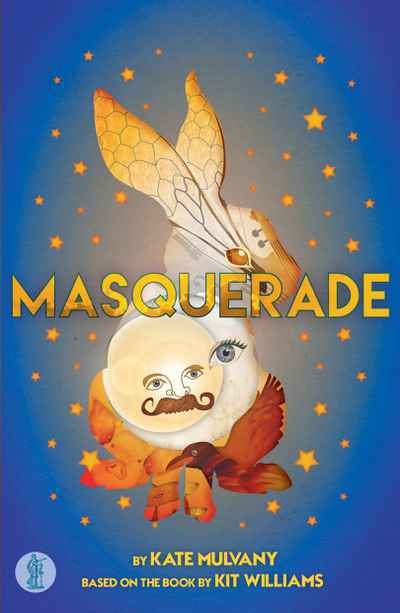 Bringing to life Kit Williams’ iconic picture book, Masquerade stars a talking fish, a tone-deaf barbershop quartet, a gassy pig, a precious jewel and a few mere mortals. It’s a magical adventure that is, at its heart, about the love between a parent and a child.